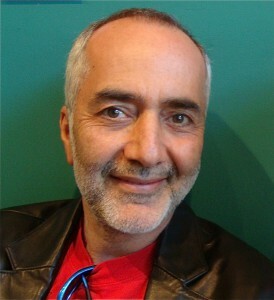 Many people know the author as “Raffi” – a beloved childrens performer behind the classic songs, “Baby Beluga,” and “Bananaphone.” In his new book “Lightweb Darkweb,” Raffi Cavoukian challenges the technology industry to make social media safer for kids, and to make the products safer and more sustainable for all. Lightweb Darkweb is a 21st century manifesto and call to action that presents critical information about our Internet culture in a vibrant and clear manner. While the internet and social media have made amazing things possible and accessible (the Lightweb), they also have a profound downside (the Darkweb), particularly for kids, that we must address. The book is built around three compelling and urgent reasons to reform social media and issues a resounding call for a thorough “mid-course correction” before it is too late. Instead, he asserts, we need “privacy by design.” Also, Raffi brings to light the latest research on electromagnetic fields and radiofrequency radiation, pointing out the dangers, especially for young children. 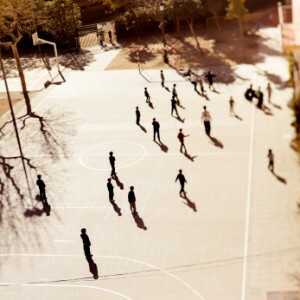 “A vast sociological experiment is under way” that is teaching kids to value “artificial reality” over actual reality and real time play (and nature!). ”What if Bill Gates were to have an epiphany, realizing that the future health of his family—and indeed the global human family— depends on the deep greening of InfoTech? What if he were to commit himself to the thorough detoxification of the electronics industry by bringing his influence to bear on leaders in InfoTech and beyond? The “Lightweb” needs to be guided by the principles of “benign by design” and Raffi cites leading sustainability thinkers and practitioners. He cites at length the “Vision for sustainable electronics” being developed by the Electronics TakeBack Coalition (of which I am the Chair), which envisions a future world where: materials and processes cause no harm; activities enrich communities; natural resources are protected; inputs and outputs of the manufacturing process are sustainable; working conditions are safe and healthy; and new business models prioritize sustainability and embrace lifecycle goals. In order to navigate this new path to sustainability, Raffi invites us all to participate in creating the new “Lightweb”. Thank goodness for Raffi and hallelujah for “Lightweb Darkweb” – this new book is a beacon of light to lead us out of the current wilderness of the Dark Web and into a sustainable future. Citing Gandhi, he points us to a future where everyone has enough for their needs (but not their greed. Sometime it takes a troubadour to show us which way the wind is blowing. Ted Smith has worked to promote sustainable electronics for over 30 years, as founder of Silicon Valley Toxics Coalition, Chair of the Electronics TakeBack Coalition, and Coordinator of the International Campaign for Responsible Technology. He is co-author and co-editor of “Challenging the chip” and lives in San Jose, California, which calls itself the “Capitol of Silicon Valley”. 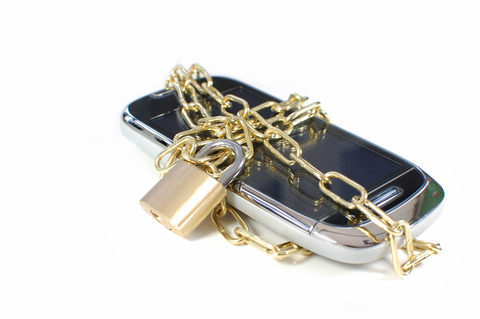 In the U.S., when we buy a cell phone, it is usually “locked” to a particular cell phone carrier, like ATT or T-Mobile. You can’t use it on a different carrier without “unlocking” it, which involves entering a few codes on some phones, although it’s more complicated on other phones. But recently, the cell phone carriers pressured the federal government to make it illegal to unlock a phone, even after the contract was up. The penalty can be an astonishing $500,000 and up to 5 years in jail, if you do this for commercial gain. While consumers probably might not face such a stiff penalty, think about all the phone refurbishers who sell used phones to second and third users. They need to be able to unlock phones in order to sell them to new owners. This change prompted over 114,000 people to sign a petition to the White House, which led the White House to issue a statement yesterday saying it opposed this new change, and it thinks we should be able to unlock our phones AND tablets. Technically what happened was that effective January 26, 2013, the Library of Congress cancelled an exemption to the Digital Millennium Copyright Act (“DMCA”), which had allowed us to unlock our phones without the carrier’s permission. What in the world does the Library of Congress have to do with our cell phones? It’s because the software in your phone is copyrighted, and the U.S. Copyright office is part of the Library of Congress. The carriers say they believe that unlocking phones undermines the software encryption protection. Conveniently for them, if you can’t unlock your phone, you must continue to pay that carrier for service. Why we need to be able to unlock our phones? Freedom to switch carriers. With an unlocked phone, once your contract is up, you can switch carriers without buying a new phone. Use your phone overseas: If you travel to Europe, you will incur expensive roaming charges if you use your GSM phone there. But with an unlocked phone, you can buy a different SIM card to use while you are there, saving a lot of money if you plan to use your phone. Reuse. Probably the most compelling reason we should be able to unlock our phones is that an unlocked phone is much more likely to be reused, since it can be used on any carrier’s network. The environmental footprint from manufacturing new phones is significant, so anything that promotes the reuse of a phone to a second or third owner, is important and worth doing. This change has thrown a serious wrench into the business model of phone refurbishers who need to be able to unlock phones in order to sell them to new owners. Ownership. Because we paid for our phones, so we should actually OWN them. If it’s locked, then we don’t really own it. 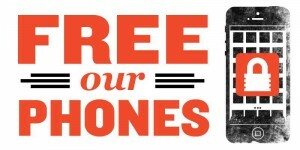 Click to sign the “Free our phones” petition. Two members of Congress, Senator Amy Klobuchar of MN, and Rep. Jason Chaffetz of UT, have said this week that they will sponsor legislation to fix this ridiculous problem. Right now, you can sign Freepress.net’s FREE OUR PHONES petition to Congress, urging them to take action. Once the bills are introduced, we will have letter in our action center that you can send to your Senator and Representative asking them to pass this legislation. New research from scientists in California and South Korea, published yesterday in Environmental Science and Technology, shows that while compact fluorescent bulbs (CFLs) and LEDs have better energy efficiency than incandescent bulbs, they compare unfavorably when you look at their potential toxicity (at the end-of-life phase) and resource depletion. First, let’s be clear that the study focused on the kinds of CFL and LED light bulbs you can screw into a lamp used for ambient lighting, not the LEDs used to light flat screen TVs or monitors (more on that later). Also, the study did not consider toxicity in the extraction or manufacturing phase – but just on the end-of-life phase, assuming they were trashed, not recycled (since sadly, most people do put used bulbs in the trash). Because the bulbs have very different expected lifetimes, they “normalized” their data on resource depletion and toxicity potential by using data for fifty incandescents, five CFLs, and one LED bulb. Even after normalizing their calculations, the team found that CFLs have from three to 26 times higher resource depletion and toxicity potential than incandescents and LED bulbs have two to three times higher potential. With so many metals used, including some critical metals, we need to see more recycling and less trashing of all these bulbs. The study evaluated the hazard based toxicity potential (on a per bulb basis), using two different methodologies. Both showed the CFLs and LEDs have higher hazard potential than incandescents because of copper, aluminum and zinc. CFLs and LEDs also had higher scores for human and eco-toxicity potentials. “The CFLs exhibit at least 2.5 and 1.3 times higher human- and eco-toxicity potentials than the LEDs, respectively, and the CFLs and LEDs exhibit at least 2 orders of magnitude higher potentials than the incandescent bulb,” according to the report. What about LEDs in flat panel TVs and monitors? The next logical question is what this kind of evaluation would find if focused on the LED components that light TVs and monitors. The University of California researchers have evaluated individual pin type LEDs, like those used as indicator lights in electronics. 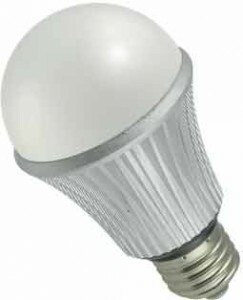 But given that some of the impacts from the LED bulbs studied here come from the ancillary components needed not just to light one LED, but to light the bulb, we would be very curious to see studies that look at the full array LED backlights or edge lights in TVs to determine, in particular, whether they should be classified as hazardous waste or not. Executive Recycling’s fake recycling was featured in a 60 Minutes episode in 2008. A federal court in Colorado today convicted the executives of Executive Recycling, formerly of Englewood, Colorado, of multiple counts of mail and wire fraud, obstruction and environmental crimes related to illegally disposing electronic waste and smuggling. This company was featured in the 2008 CBS News’ 60 Minutes Episode, “Electronic Wasteland,” on how e-waste from the U.S. is collected by companies claiming to be recyclers, who instead load it up on containers and ship it to developing nations. 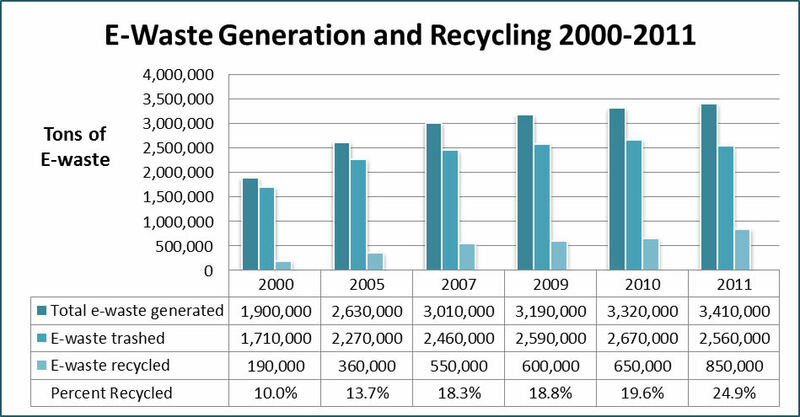 Like many fake recycelrs, Executive Recycling promoted itself as an environmentally responsible company. The charges came after the Basel Action Network (BAN), a toxic trade watchdog organization, which is a member of our Coalition, observed and photographed 20 seagoing containers leaving the Executive Recycling loading docks and tracked them overseas. BAN then gave the information to Environmental Protection Agency (EPA) Enforcement, the Government Accountability Office, and CBS News. We applaud the federal government for mounting this investigation and pursuing this lawsuit. 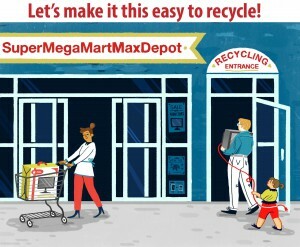 This practice of fake recycling is all too common in the U.S., and most of them get away with it. While exporting e-waste to China and other developing countries is common, it’s unusual for most fake recyclers to be brought to court, because much of their activity is perfectly legal under U.S. law. 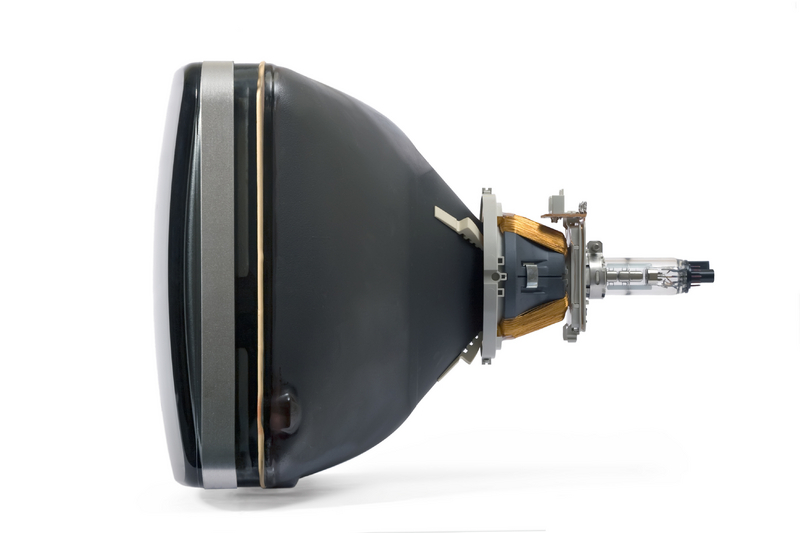 Because Executive Recycling was exporting Cathode Ray Tube (CRT) TVs and monitors, they violated the one regulation on the books (the CRT rule) pertaining to e-waste exports from the U.S. According to Homeland Security, Executive Recycling exported over 100,000 CRTs from the United States between 2005 and 2008. Because of the company’s particular behavior, prosecutors were able to add charges of obstruction of justice, and wire and mail fraud, in addition to environmental violations. But it wouldn’t take such a monumental effort by the EPA, Homeland Security, ICE, and the U.S. Attorney to stop fake recyclers like this if we passed legislation, like what most of the rest of the world has, that would make this kind of global e-waste dumping illegal. Such legislation was introduced in this past Congress as the Responsible Electronics Recycling Act, and is expected to be reintroduced in the new Congressional session next year. 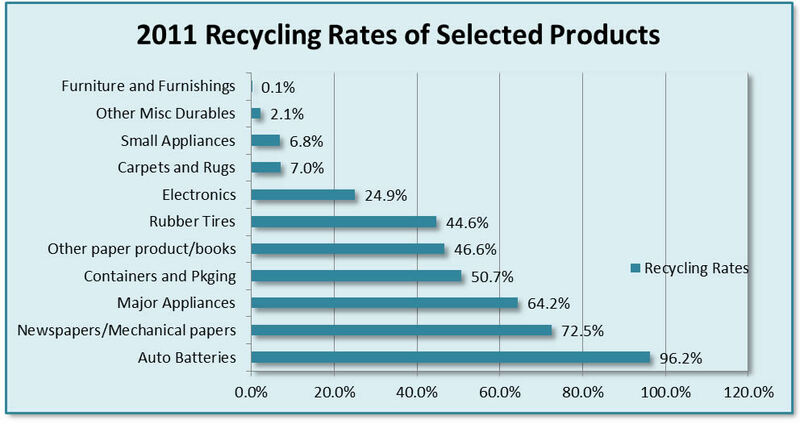 Until such time as we pass legislation to solve this problem, your best option is to choose a recycler that is certified to the e-Stewards standards, which prohibit exporting toxic e-waste to developing nations. Read about other fake recyclers here.